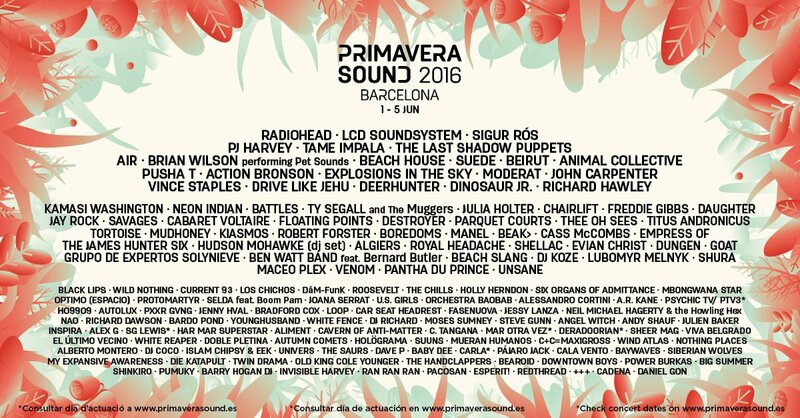 Barcelona’s Primavera Sound has revealed its 2016 lineup, and as usual it’s a doozy. Radiohead, LCD Soundsystem, and Sigur Rós will headline this year’s edition. They’ll be join by a stellar undercard that includes PJ Harvey, Tame Impala, The Last Shadow Puppets, Brian Wilson (performing Pet Sounds), Explosions in the Sky, and legendary director/composer John Carpenter. 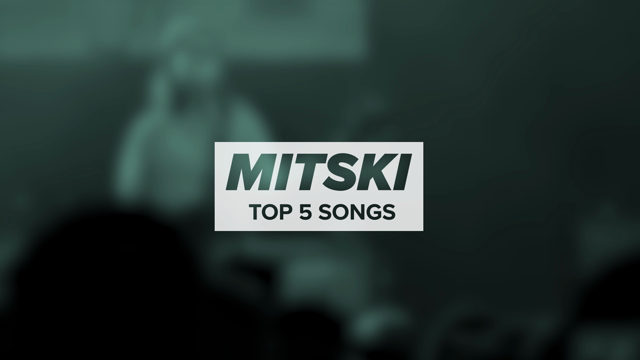 Also playing are Animal Collective, Deerhunter, Air, Beach House, Beirut, Suede, Pusha T, Moderat, Drive Like Jehu, Richard Hawley, Dinosaur Jr., Destroyer, Vince Staples, Action Bronson, Battles, Mudhoney, Tortoise, Shellac, Ty Segall & the Muggers, Chairlift, Cass McCombs, Daughter, Savages, Neon Indian, Dungen, Thee Oh Sees, Titus Andronicus, Parquet Courts, Protomartyr, Beak>, Goat, Hudson Mohawke, Floating Points, Evian Christ, and Pantha Du Prince, among others. The three-day music festival takes place June 1st – 5th at the Parc del Fòrum. General admission and VIP passes are now available through the festival’s website.